Florida is a place like no other. Its terrain is fascinating in its variety and so are its people. While many of them choose the beaches for their Florida Life, others prefer Florida Life in the rolling hills of horse country surrounded by live oaks and Spanish moss. Many more live in the cities, but even there the pace is different. Busy, but with a casual style. The Florida Life draws many visitors here every year. They love coming and as they leave they hope to take a little of that Florida Life with them.... and that's what Florida Life Products are all about! 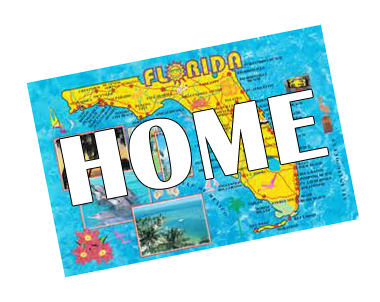 Check out our Florida Life Products here... and Shop Now!